It was with sadness that this morning, through my friend Greg Glade who runs the excellent Top of the World Books, I learned of the passing of another mountaineering pioneer and legend, Bob Bates. 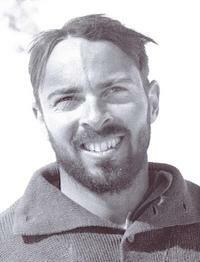 From a climbing standpoint, it was probably the famed 1953 K2 Expedition which was the most noteworthy of Bates’ career. Along with Charles Houston, Pete Schoening, Dee Molenaar, Art Gilkey, Bob Craig, and others, the team climbed high on the world’s second highest peak. In a tragic turn of events, Art Gilkey was lost during a valiant and heroic self-arrest of the entire team by Pete Schoening. (See my article on Charles Houston here for more information.) Schoening’s arrest stands as one of the most famous survival tales from the high mountains. But Bates, like so many of the climbers of his generation (the aptly-called Golden Age of Mountaineering), was far from mono-dimentional. He was also a scholar, profesor, and humanitarian. Educated at Phillips Exeter Academy, Harvard, and with a PhD from Penn, Bates went on to teach at Phillips from 1939-1976. Later, at the behest of Sargent Shriver, Bob and his wife moved to Nepal and began the Peace Corps program there, running it from 1962-63. Bates also served as president of the American Alpine Club and was an honorary member of the famed 10th Mountain Division. Please see the full obituary for Mr. Bates by clicking here. It is indeed sad to hear of the passing of another climbing great. Bates and his colleagues represent unique era of American mountaineering, one where ambitious firsts were attempted (and often accomplished!) in tandem with, to borrow from Charles Houston, the ethic of The Brotherhood of the Rope. Bates and his climbing companions accomplished great things in their lives, and often did so with characteristic understatement. As Bates’ obituary tells us, he dismissed praise of his "amazing life" with the casual reply: "I’ve had an interesting one."